2.From one month to one year, if any problems, we help you find out the problems,and send you parts freely for replacement, the shipping cost of parts are paid by you, and we also send you vedio to show how to replace the parts. 3.From one year to three years, if any problems, we help you find out the problems,and only charge the material cost of the parts,and the shipping cost of parts are paid by you, and we also send you vedio to show how to replace the parts. 3. What is your warranty policy9 One year free warranty, three years of maintenance . Furthermore, we not only sell products in China but also export products to other countries. We will keep on innovating and developing new and better products and hope to win together with new and old customers. 4. All spare parts with one year warranty free replacement if broken 5. Please email us for the broken items if happened. 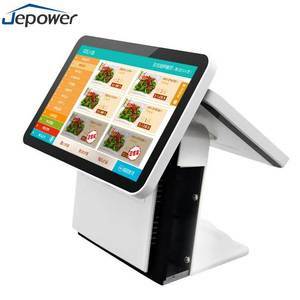 Alibaba.com offers 2,740 dual display touch pos products. About 93% of these are pos systems, 2% are touch screen monitors, and 1% are pdas. 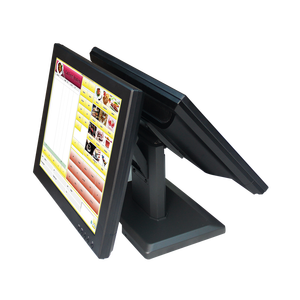 A wide variety of dual display touch pos options are available to you, such as paid samples, free samples. 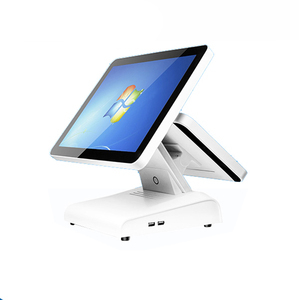 There are 2,746 dual display touch pos suppliers, mainly located in Asia. The top supplying countries are China (Mainland), Turkey, and Taiwan, which supply 99%, 1%, and 1% of dual display touch pos respectively. Dual display touch pos products are most popular in North America, Domestic Market, and Western Europe. You can ensure product safety by selecting from certified suppliers, including 780 with ISO9001, 263 with Other, and 211 with ISO14001 certification.